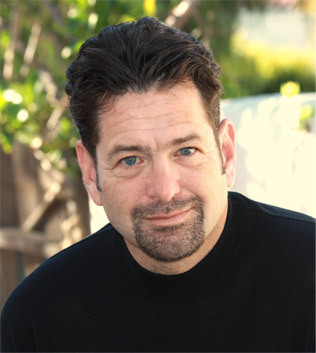 Michael Aaron Gardiner is a freelance writer and licensed California attorney living in San Diego, California with his wife and daughter (when she’s home from College). A graduate of Amherst College and the University of Wisconsin School of Law, Gardiner practices business law and litigation during the day and cooks and writes by night. Gardiner is the regular weekly food writer for San Diego CityBeat, an alternative weekly with a weekly circulation of 50,000 and the primary writer for the San Diego Food & Travel Blog, www.sdfoodtravel.com. He writes a monthly food column called “Badass Kosher” for L’Chaim San Diego Magazine. Gardiner is also the author of Kosher Fusion: The Rebirth of a Tradition for the Modern Kitchen, a book applying the lessons of contemporary, high-end fusion cuisine to traditional Jewish dietary laws in order to forge a new Kosher tradition in the modern Jewish home kitchen. Gardiner is currently looking for a publisher for the book, so if you happen to be one please contact him immediately. Gardiner has staged in various high end restaurant kitchens in the United States and Mexico and– when court hearings do not interfere — he cooks in the kitchen of Special Delivery San Diego where he is responsible for turning out 150 “covers” as well as designing the vegetarian cuisine (a natural for a Kosher chef). Working out of the kitchen at San Diego’s Huddle Restaurant, Special Delivery cooks and delivers fresh, homemade and nutritious meals to over 150 individuals and families – most of whom are homebound, living with AIDS, cancer or other critical illnesses — five days a week throughout the San Diego community. In his spare time Gardiner – a former National Champion Australian Rules Football player, competitive bicycle racer and professional soccer coach — enjoys riding his bike by the coast. He does not have much in the way of spare time.